Tucson, AZ, WPH Press, 4/25/17- The 2017 WPH Outdoor 6 season completed its third event of the season, crowning Alfredo “El Hombre” Morales champion in his first start of the season. 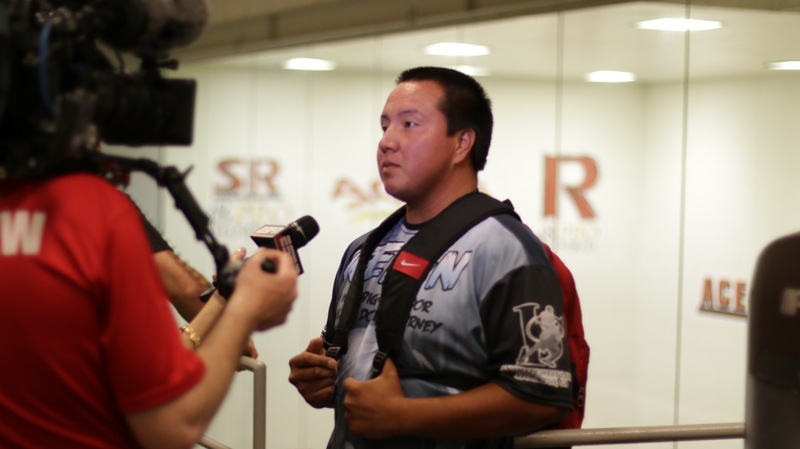 Morales bested one of the strongest fields of the season in the third consecutive 4-Wall Big Ball event of the year, surviving a thriller against WPH Outdoor #2 Timbo Gonzalez in the quarterfinals, outlasting WPH Outdoor #6 Shorty Ruiz in the semifinals and dominating WPH Outdoor #1 Samzon Hernandez in the final. 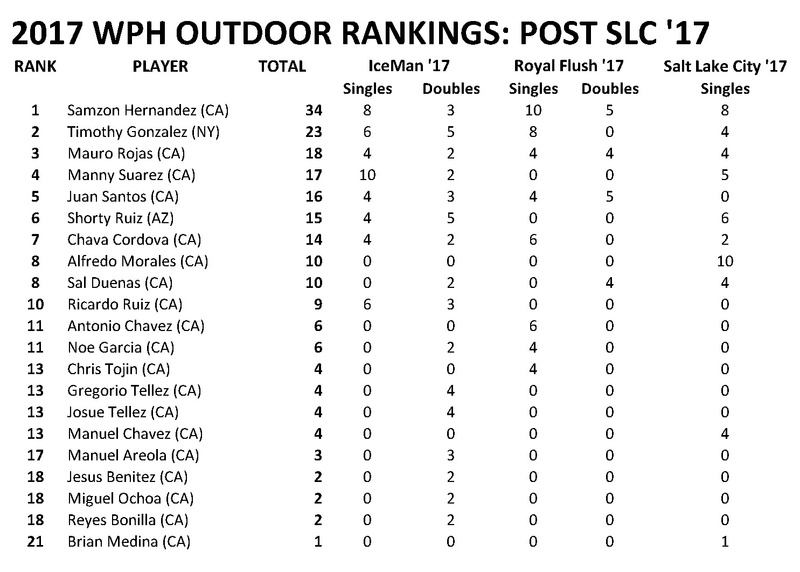 Despite losing in the final, Samzon Hernandez extended his WPH Outdoor “Race 2 Vegas” Cup Points lead, Timbo Gonzalez stayed at #2, Shorty Ruiz climbed into the top six, and Alfredo Morales entered the WPH Outdoor Elite 8 for the first time this season. The WPH Outdoor 6 tour heads to Las Vegas for the 2017 WPH Outdoor 3WallBall Vegas Lte May 12-14 for its fourth stop and first outdoor stop of the season. Expect to see many of the WPH Outdoor’s best competing for valuable ranking points, yellow jerseys, and prize money at the Vegas Lte.